Banksy is best known as a masked graffiti artist whose work usually veers wildly between powerful political statements and vague/confusing political statements, but he’s started expanding his repertoire in recent years to include more concrete installations. He set up the “Dismaland” theme park in 2015, and now he’s setting up his own hotel in Bethlehem on the West Bank. Called the “Walled Off Hotel,” the place is decidedly in the “vague/confusing political statements” camp, since it kind of seems like a Banksy-based tourist attraction more than anything. Whatever the basic message is, Banksy is treating guests at the Walled Off Hotel to a series of pre-recorded concerts from musicians like Flea, Hans Zimmer, and—though it surely doesn’t mean anything—Robert “3D” Del Naja from Massive Attack. 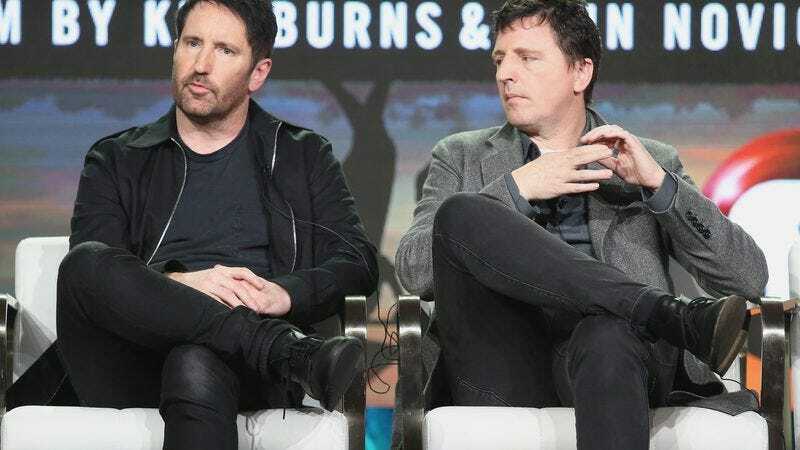 Plus, according to Stereogum, these concerts will include a collection of new music from Trent Reznor and Atticus Ross with them “performing” nightly at the hotel’s player piano for the next few weeks. You can hear one of the tracks below. Also, if you are interested in figure out what the Walled Off Hotel is all about, you can find more information here and here.